The Antimicrobials Working Group (AWG) is an industry-led, 501(c)(6) comprised of emerging antimicrobials and diagnostics companies. AWG is committed to improving the regulatory, investment, and commercial environment for antimicrobial drug and diagnostic device development. 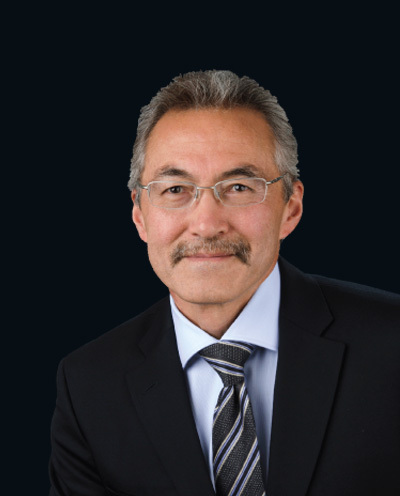 Dr. Truong is a founder of Aridis and was elected CEO in 2014 after having served as the company’s Chief Scientific Officer since 2005. He has more than 20 years of experience in biopharmaceutical drug development, having held positions of increasing responsibilities in companies which were eventually acquired by larger entities, including Gene Medicine (sold to Megabios), Aviron (sold to MedImmune) and MedImmune (sold to Astra Zeneca). Having maintained a life-long interest in infectious diseases, he has focused on researching and developing innovative human monoclonal antibodies and vaccines designed to address life-threatening infections. His product development experience includes FluMist™, Synagis™ mAb and a number of other monoclonal antibody-based therapeutics. 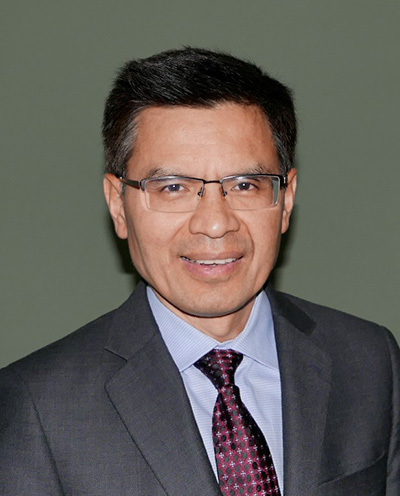 Dr. Truong is the principal architect of Aridis’ technologies, which includes a range of anti-infective products and pharmaceutical processing technologies. He received his Ph.D. in Pharmacology and Molecular Sciences at the Johns Hopkins University School of Medicine. René Russo, PharmD, BCPS, has spent more than 15 years in anti-infective R&D and has leadership experience across all phases of drug development, including global commercial launches for five novel antibacterial agents and clinical development and registration of several antiviral, antibacterial, and antifungal therapeutics. Her work has spanned the earliest phases of in vitro and animal work to clinical pharmacology, clinical development, and post-marketing clinical outcomes research. Prior to Arsanis, Dr. Russo served in various roles over an 11-year period at Cubist Pharmaceuticals (Cubist). As Vice President of an 80+ person global team, Dr. Russo oversaw the clinical microbiology program (including extensive in vitro and animal work to support dose selection and PK/PD analyses), contributed to the design of multiple Phase 1 to Phase 3 clinical studies, and directly managed the oversight of several global burden of disease programs, including urosepsis and nosocomial pneumonia, to understand the outcomes and unmet medical needs in these infectious diseases. In her role at Cubist, she was also responsible for the oversight of more than 140 studies designed to further understand Gram-positive and Gram-negative infections, including epidemiology, resistance patterns, and the study of various treatments (including combination therapies) across nonclinical and clinical studies. Dr. Russo directly oversaw investigator-initiated research for a broad portfolio of anti-infectives, including daptomycin, fidaxomicin, ceftolozane/tazobactam, and tedizolid. 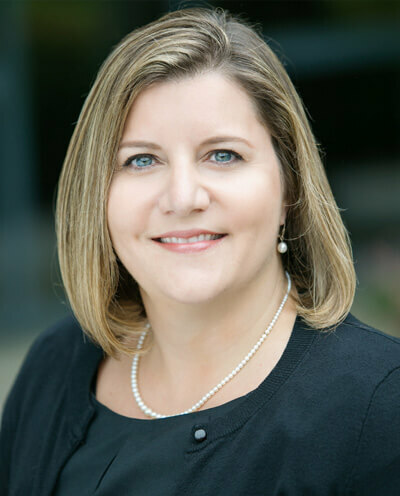 Prior to her time at Cubist, Dr. Russo held roles of increasing responsibility at Bristol-Myers Squibb where she started her industry career as a Postdoctoral Fellow in Industrial Pharmacy Infectious Diseases. She also held clinical positions at Robert Wood Johnson University Hospital and Princeton Hospital before joining the biotechnology industry. Dr. Russo received her PharmD and Bachelor of Science in Pharmacy from Rutgers University and holds a Board of Pharmacy Specialties Pharmacotherapy Certification (BCPS). Roger J. Pomerantz, M.D., F.A.C.P. 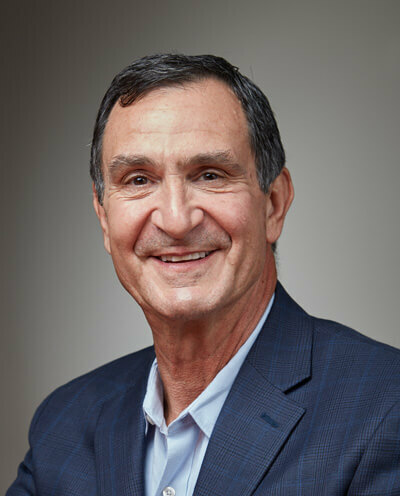 Dr. Pomerantz was appointed ContraFect’s Chief Executive Officer and Chairman of the board of directors in April of 2019, prior to which he served as Vice Chairman of the Company’s board of directors since May 2014. 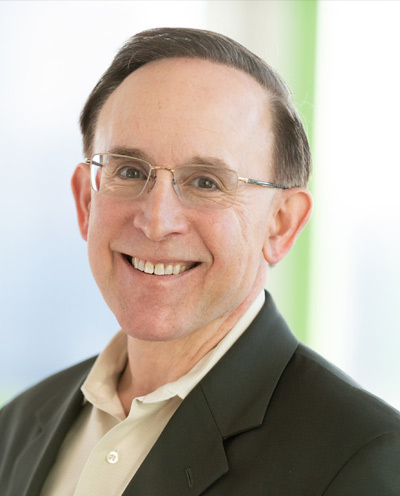 He currently serves as Chairman of the board of directors of Seres Therapeutics, and served as Chairman and CEO from June 2014 until January 2019. From 2011 to 2013, he was formerly Worldwide Head of Licensing & Acquisitions, Senior Vice President at Merck & Co., Inc. where he oversaw all licensing and acquisitions at Merck Research Laboratories. Previously, he served as Senior Vice President and Global Franchise Head of Infectious Diseases at Merck. Prior to joining Merck, Dr. Pomerantz was Global Head of Infectious Diseases for Johnson & Johnson Pharmaceuticals. He joined Johnson & Johnson in 2005 as President of Tibotec Pharmaceuticals, Inc. Dr. Pomerantz received his B.A. in Biochemistry at the Johns Hopkins University and his M.D. at the Johns Hopkins School of Medicine. He received post-graduate training at the Massachusetts General Hospital, Harvard Medical School and M.I.T. Dr. Pomerantz is Board Certified in both Internal Medicine and Infectious Diseases. He was Professor of Medicine, Biochemistry and Molecular Pharmacology, Chief of Infectious Diseases, and the Founding Director and Chair of the Institute for Human Virology and Biodefense at the Thomas Jefferson University and Medical School. He has developed 12 drugs approved world-wide in important diseases, including HIV, HCV, CMV, and tuberculosis. An accomplished senior executive, Lisa has demonstrated talent for devising and implementing investor relations and financial communications strategies to support Boards and senior management in optimally positioning businesses to create shareholder value. Her unique combination of Investor Relations (IR), Corporate Finance, Sell-Side Equity Research and Communications experience have contributed to exceptional analytical, relationship building and communications competencies, along with the development of a strong and influential investment community reputation with both sell-side and buy-side. Complementing this is her scope of industry experience crossing pharmaceuticals, managed care, telecommunications, financial services, travel, real estate and hospitality. Most recently, from 2009 to 2017, Lisa rose through increasingly higher levels of responsibility at Allergan, most recently as VP, Investor Relations. As one of three executives retained through a period of tremendous change/corporate iterations, Lisa adeptly led the IR function as the business went from $4B to $100B+ market capitalization expansion; share price rise from $32 to $350 per share; 12 total acquisitions, four multi-billion transformational acquisitions including Allergan for $67B and Forest Labs valued at $24B. A member of the operations leadership team, Lisa was instrumental in defining strategies to transition shareholder base from Value to Growth/GARP while maintaining majority key top shareholders. Prior to joining Allergan, Lisa worked in various Investor Relations and Finance roles across multiple industries for Virgin Mobile USA, playing an integral role in establishing this newly created public company as an attractive investment during the dynamic era of the telecommunications industry; Realogy, a publicly-owned company created in 2005 as a spin-off from the Cendant Corporation; Horizon Blue Cross Blue Shield of NJ with responsibility for building an IR function to help launch company into a for-profit, publicly-traded entity; and Ladenburg Thalmann & Co Inc., as an Equity Research Associate. Lisa holds a BS in Business Administration from the Seton Hall University W. Paul Stillman School of Business and is a Member of the National Investors Relations Institute. She is the recipient of numerous Institutional Investor Awards received from 2013-2015, as well as two IR Magazine Awards received in 2012 and 2013. Lisa and her family currently reside in new jersey. 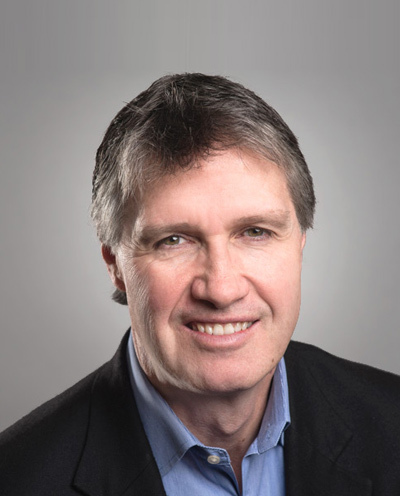 Graham G. Lumsden, Chief Executive Officer of Motif, is responsible for all aspects of the strategy, management, and operations of the Company. Prior to joining Motif, Mr. Lumsden was a senior executive at Merck & Co., Inc. where he held commercial leadership positions in worldwide businesses including contraceptives and osteoporosis. Mr. Lumsden has a proven record of success leading change and delivering results in subsidiary and global leadership positions, including new product launches, pre-clinical/clinical development, regulatory strategy, cross-functional team leadership, IP strategy/litigation, and domestic/international sales and marketing. Mr. Lumsden is a member of the Royal College of Veterinary Surgeons (MRCVS), holds a postgraduate diploma from the Chartered Institute of Marketing (MCIM), and is a dual citizen of the U.S. and UK. Dr. Taglietti joined SCYNEXIS as Chief Executive Officer in April 2015 and has been a member of the board since November 2014. 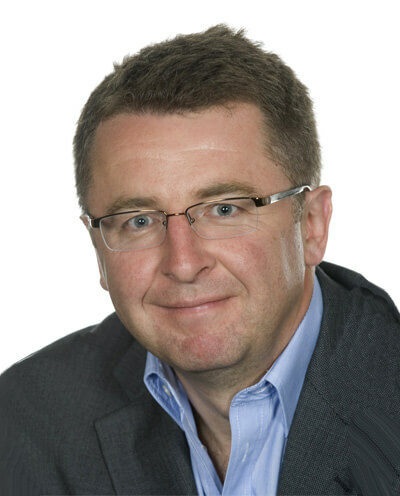 He became SCYNEXIS President in September 2015. He served as Executive Vice President, Research and Development, and Chief Medical Officer of Forest Laboratories, Inc. and as President of the Forest Research Institute until its acquisition by Actavis in 2014. Prior to joining Forest Laboratories, Inc. in 2007, Dr. Taglietti held the position of Senior Vice President, Head of Global Research and Development, at Stiefel Laboratories, Inc. for three years. He joined Stiefel Laboratories, Inc. after 12 years at Schering-Plough Corporation where he last held the position of Vice President, Worldwide Clinical Research for Anti-Infectives, Oncology, CNS, Endocrinology and Dermatology. Dr. Taglietti began his pharmaceutical career at Marion Merrell Dow Research Institute. Over the course of his career, he has brought to market 35 different products in the U.S. and internationally. Dr. Taglietti currently serves on the Board of Directors of NephroGenex, Inc. (NASDAQ:NRX) and Delcath (NASDAQ:DCTH). He received his medical degree and board certifications from the University of Pavia in Italy. 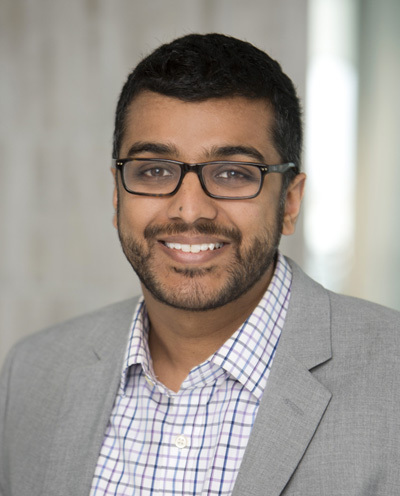 Ankit Mahadevia is the Chief Executive Officer of Spero Therapeutics and a member of the Board of Directors. He was formerly a Venture Partner in the life sciences group at Atlas Venture, located in Cambridge, MA. In that capacity he supported the formation of eight companies focused on novel drug discovery platforms and therapeutic products, three of which he led as Acting CEO. Prior to joining Atlas in 2008, Ankit worked on product and business development with the founding team at Arcion Therapeutics. He has also held positions in business development both at Genentech and at Vanda Pharmaceuticals. Previously, he worked in the health care groups of McKinsey &amp; Company and Monitor Group. Ankit began his career in health care policy, with roles in the U.S. Senate Health, Education, Labor, and Pensions committees, the U.S. Government Accountability Office, and the Mexican Institute of Social Security (IMSS). 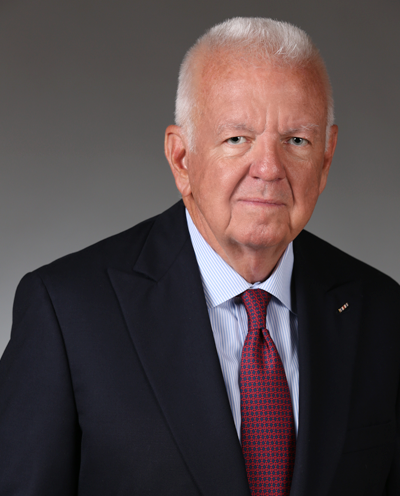 John McDonough has served as President and Chief Executive Officer and a member of T2’s Board of Directors since November 2007. From 2003 to 2007, John held various positions at Cytyc Corporation, a company engaged in the design, development, manufacturing and marketing of clinical products that focus on women’s health, and ultimately served as President at Cytyc Development Corporation. John had the responsibility of designing and executing Cytyc Corporation’s growth strategy for expanding the company from a single product company with revenue of approximately $300 million to a diverse women’s health company with revenue of approximately $750 million. He led the efforts that resulted in Cytyc’s acquisition by Hologic, Inc. in October, 2007, for over $6 billion. John has served in senior executive management and CEO roles in several private and public companies. He is currently a member of the Board of Directors at Solace Therapeutics and Cytrellis Biosystems. John earned his B.S.B.A. from Stonehill College. 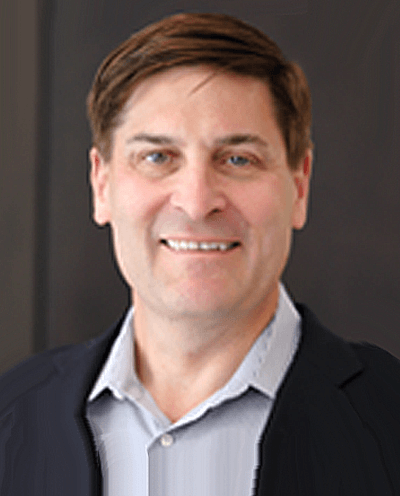 Frank Pasqualone joined Theravance Biopharma as Senior Vice President, Operations in June 2014 in connection with the spin-off from Theravance, Inc. Prior to the Spin-Off, Mr. Pasqualone held the position of Senior Vice President, Operations at Theravance, Inc. since January 2014. From 2010 to 2012, he served as President of Intercontinental Region: Latin America, Middle East and Africa and also as President of Southern Europe from 2009 to 2010, at Bristol-Myers Squibb (“BMS”). Over a 25-year period with BMS, Mr. Pasqualone held senior management positions in the U.S. and globally. In the U.S., he was responsible for the Oncology/Virology business and led the marketing group in the Diabetes business. Since leaving BMS and prior to joining Theravance, Mr. Pasqualone was self-employed as a part-time consultant. Mr. Pasqualone holds an M.B.A. from University of Dayton and a B.S. in Marketing from Bowling Green State University in Ohio. Edward Garvey, Ph.D, has spent his entire academic and professional career within the field of infectious disease drug discovery and development. 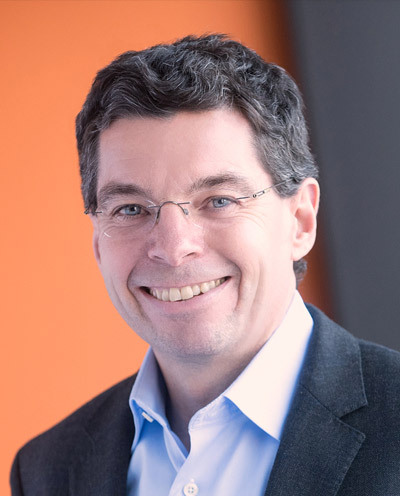 He is the Vice President of Biology at Viamet Pharmaceticals and has led Viamet’s antifungal drug discovery and development program since 2010, playing leading roles in the development of VT-1161 (now in Phase 3) and VT-1598 (now in Phase 1). He has been the PI on numerous grant and contract research programs funded by the NIH and DOD while at Viamet, and is author or co-author on 19 peer-reviewed articles since 2014. Beginning in 1989, he had previously focused on antiviral drug discovery his entire career at Burroughs Welcome/Glaxo Welcome/GlaxoSmithKline. The highlight of that work was the discovery program he initiated and led that resulted in the approval of the best-in-class HIV integrase inhibitor Dolutegravir and also the late-stage clinical asset Cabotegravir. His Ph.D. research in the department of Pharmaceutical Chemistry at UCSF described various mechanisms of drug resistance in the protozoal parasite Leishmania. 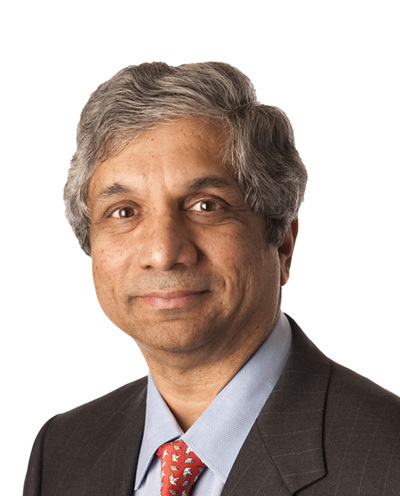 Vijay B. Samant joined Vical as President and Chief Executive Officer in November 2000. Mr. Samant has 23 years of diverse U.S. and international sales, marketing, operations, and business development experience with Merck. From 1998 to mid-2000, he was Chief Operating Officer of the Merck Vaccine Division. From 1990 to 1998, he served in the Merck Manufacturing Division as Vice President of Vaccine Operations, Vice President of Business Affairs, and Executive Director of Materials Management. Mr. Samant earned a master's degree in management studies from the Sloan School of Management at the Massachusetts Institute of Technology in 1983. He received a master's degree in chemical engineering from Columbia University in 1977 and a bachelor's degree in chemical engineering from the University of Bombay, University Department of Chemical Technology, in 1975. Mr. Samant presently serves as a member of the board of directors of AmpliPhi Biosciences Corporation. Mr. Samant was a member of the Board of Directors for Raptor Pharmaceutical from 2011 to 2014, and was a member of the Board of Directors for BioMarin Pharmaceutical from 2002 to 2004. Mr. Samant was a Director of the Aeras Global TB Vaccine Foundation (Rockville, MD) from 2001 to 2010; a member of the Board of Trustees for the National Foundation for Infectious Diseases (NFID, Bethesda, MD) from 2003 to 2012; and a member of the Board of Trustees for the International Vaccine Institute (IVI, Seoul, Korea) from 2008 to 2012. Dr. Stein has been President, CEO and Director of Cidara since January 2014. Previously he was CEO of Trius Therapeutics, Inc. from 2007 until its acquisition by Cubist Pharmaceuticals, Inc. in September 2013. During his tenure, Trius developed the antibacterial drug tedizolid, which received marketing approval from the U.S. Food and Drug Administration in June 2014. Tedizolid is now marketed by Merck under the name Sivextro. Dr. Stein currently serves as a Director of Paratek Pharmaceuticals (NASDAQ: PRTK) and Ideaya Biosciences. He is also founding Chairman and President of the Antimicrobials Working Group, an industry leading 501(c)(6) organization. Previously, Dr. Stein was a Venture Partner and Kauffman Fellow with Sofinnova Ventures and opened the firm’s San Diego office in 2005. 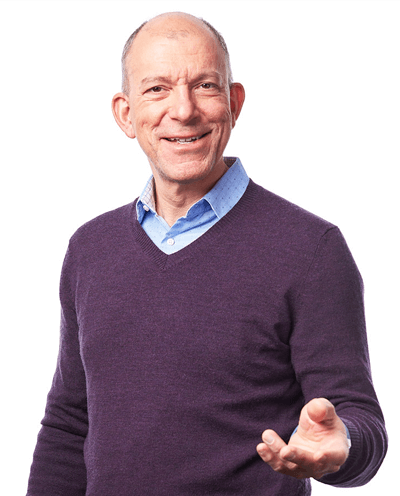 Prior to joining Sofinnova Ventures, Dr. Stein was co-founder and Chief Scientific Officer of Quorex Pharmaceuticals, which was acquired by Pfizer Pharmaceuticals in 2005. He has also served as a Principal Scientist with Diversa Corporation and the Agouron Institute. Dr. Stein conducted his postdoctoral research as an Alexander Hollaender Distinguished Postdoctoral Fellow at the California Institute of Technology and his graduate work as a NASA Graduate Student Researcher Fellow at the University of California, San Diego. Evan Loh, M.D. has served as Chief Operating Officer of Paratek since January 2017 and as President and Chief Medical Officer and a member of the Board of Directors since July 2014. Prior to the merger with Transcept Pharmaceuticals, Dr. Loh was appointed President in June 2014 and served as Chief Medical Officer and Chairman of the Board of Directors from June 2012 to June 2014. Previously, Dr. Loh served as Senior Vice President, Development and Strategic Operations, Worldwide Research and Development, at Pfizer. While at Pfizer, Dr. Loh’s responsibilities included scientific, operational, and strategic drug development oversight for all pre-proof of concept development phase programs and leading portfolio prioritization. 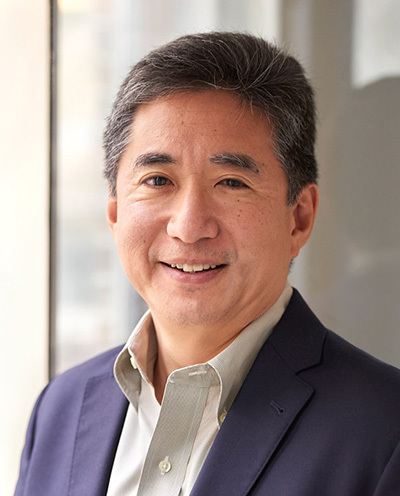 Dr. Loh joined Pfizer from Wyeth Pharmaceuticals, where he was Vice President, Multiple Therapeutic Areas where he was responsible for global development strategy and clinical operational deliverables. At Wyeth, he led the successful global registration programs for Torisel and Tygacil. He currently serves on the Board of Directors of Eiger Biopharmaceuticals, Inc. and as Vice Chair of the Antimicrobials Working Group, an industry leading organization of biotech companies focused on antimicrobial development. Dr. Loh served as a director on the Board of Nivalis from 2012 until the completion of its sale to Alpine Immunotherapeutics in 2017. Dr. Loh served as a faculty member at both Harvard Medical School and the University of Pennsylvania School of Medicine. Dr. Loh received his A.B. from Harvard College and his M.D. from Harvard Medical School. He completed his Internal Medicine and Cardiovascular fellowship training at Brigham and Women’s Hospital. Michael Dunne, M.D. has served as Chief Scientific Officer of Iterum Therapeutics since late 2015 when the company was formed. Prior to that, Dr. Dunne was the Chief Medical Officer of Durata Therapeutics, Inc. from 2009 until its acquisition by Actavis plc in 2014 and remained in a leadership role as part of the Actavis integration efforts to ensure successful transition of all priority development activities until 2015. 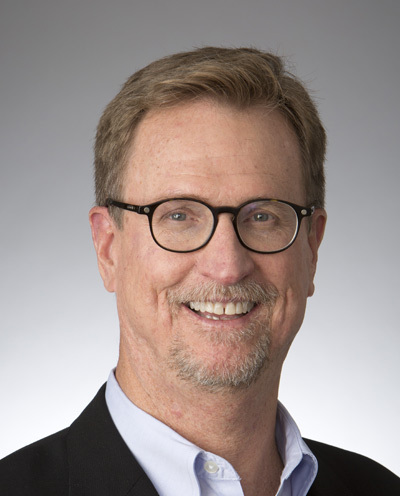 From 1992 to 2009, Dr. Dunne served in a variety of roles in connection with the clinical development of numerous infectious disease compounds at Pfizer Inc., including as the Vice President, Therapeutic Head of Development for Infectious Disease from 2001 to 2009. Dr. Dunne holds a BA in Economics from Northwestern University and an MD from the State University of New York Health Sciences Center. He completed his internal medicine residency and fellowships in infectious diseases and pulmonary medicine at Yale University School of Medicine. 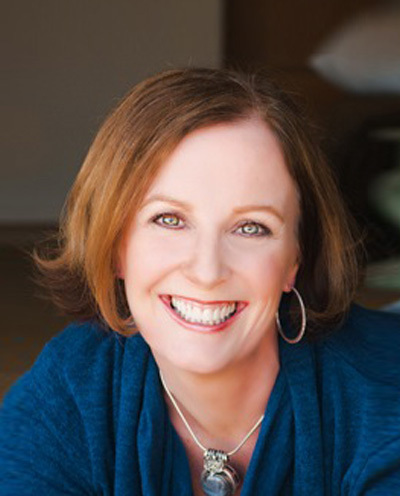 Ciara Kennedy, Ph.D., is President and CEO of Amplyx Pharmaceuticals, Inc. 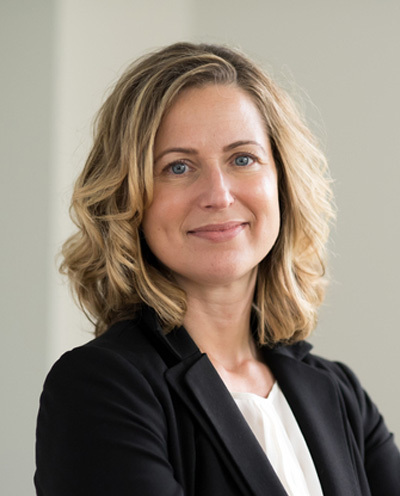 Initially, Ciara Kennedy was appointed Chief Operating Officer of Amplyx in October 2015, following a successful, $50 million Series B financing. Prior to joining Amplyx, Dr. Kennedy served as Chief Operating Officer at Lumena Pharmaceuticals until the company was acquired by Shire Pharmaceuticals in June 2014; she remained with Shire for one year post-acquisition as Vice President and Head of the Cholestatic Liver Disease Program. As COO of Lumena, Dr. Kennedy played a critical role in the development of assets licensed from Pfizer and Sanofi, raising $78M from venture capital to fund operations and preparing to take the company public. Ciara has a proven track record of delivering significant results and advancing therapeutic and diagnostic programs across multiple therapeutic areas and stages of development in the biotechnology industry. Prior to Lumena, she was Vice President of Operations and Senior Director of Strategy and Corporate Development at Cypress Bioscience Inc., where she played a key role in obtaining FDA approval for Savella, a therapy for fibromyalgia, and also oversaw corporate acquisitions and in-licensing of several clinical assets. Previously, Dr. Kennedy held several positions in the Program and Alliance department of Biogen Idec, managing projects spanning the drug discovery and development continuum. Dr. Kennedy received her doctorate at the Queen’s University of Belfast, Northern Ireland, and continued her research in the field of apoptotic proteases at the Sanford Burnham Prebys Medical Discovery Institute in La Jolla, California. In 2004, she became a member of the inaugural class of the Rady School of Management at University of California, San Diego. She graduated with a Masters of Business Administration in 2006. 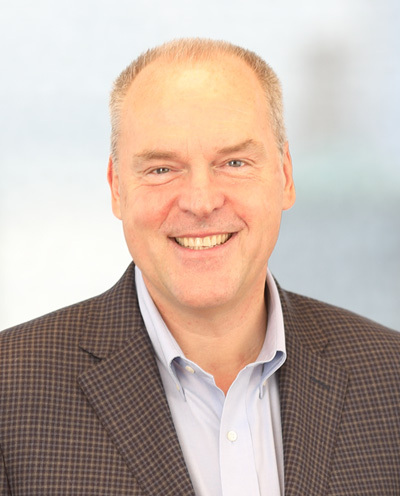 Ted Schroeder joined Nabriva Therapeutics plc in July 2018. During the last 30 years, he has been focused on drug development and commercialization in both large and small pharmaceutical companies. Most recently, Ted served as president, chief executive officer and director of Zavante Therapeutics until its acquisition by Nabriva Therapeutics in 2018. Ted co-founded Cadence Pharmaceuticals in 2004 and previously held leadership roles at Elan Pharmaceuticals, Dura Pharmaceuticals and earlier in his career, Bristol-Myers Squibb. He currently serves on the board of Cidara Therapeutics (Nasdaq: CDTX), Otonomy (Nasdaq: OTIC) and Collegium Pharmaceutical (Nasdaq: COLL). 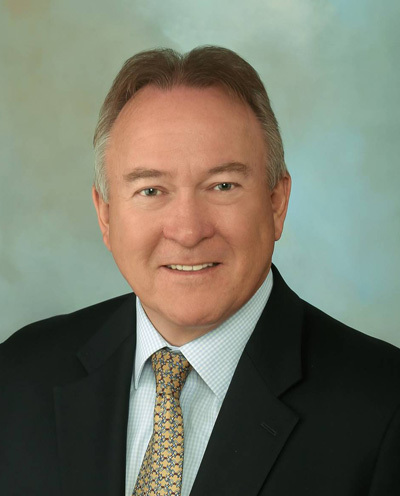 He is a former chair of BIOCOM, the Southern California life sciences trade association and in 2014, he was named the EY Entrepreneur of the Year for the San Diego region and was listed as a national finalist. He received a bachelor’s degree in management from Rutgers University. 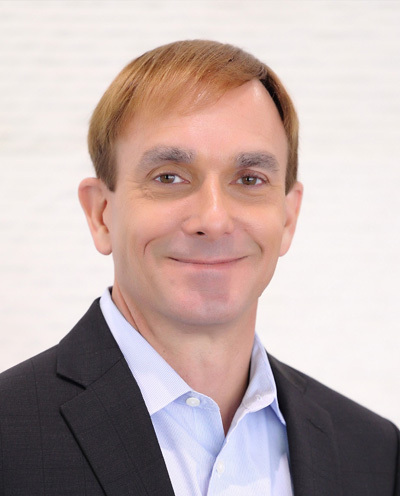 Kevin P. Finney currently serves as Chief Operating Officer of Zavante Therapeutics. Finney has over 20 years of healthcare leadership experience spanning early stages of development and commercialized brands for pharmaceutical, medical device and diagnostic segments. Finney recently served as Vice President and Head of Corporate Development at Allergan, with responsibility for world-wide corporate development strategy, licensing, acquisitions and alliances. Finney held this position through the successful $71 billion acquisition of Allergan by Actavis in March 2015. In his previous tenure at Allergan, the company grew from less than $3 billion in annual revenue to more than $7 billion through a combination of acquisitions and organic growth. Before this, Finney held commercial executive management roles at Prometheus Laboratories, Inc. (now NestleHealthScience), Amylin Pharmaceuticals, Inc. (now Bristol-Meyers Squibb) and Parke-Davis division of Warner-Lambert (now Pfizer). Mr. Finney currently serves on the board of Taris Biomedical and Eirion Therapeutics. Finney received master’s degree in business from Pepperdine University and a bachelor’s degree in exercise physiology from California State University, Long Beach. Enabling patients to receive the best treatment faster than ever before, by transforming diagnostics – radically improving patient care and hospital economics. Spero Therapeutics is a multi-asset, clinical-stage biopharmaceutical company focused on identifying, developing and commercializing novel treatments for multidrug-resistant (MDR) bacterial infections. Spero is advancing SPR994, which is designed to be the first broad-spectrum oral antibiotic for use in adults to treat MDR Gram-negative infections. Spero is also advancing its Potentiator Platform, which it believes will enable it to develop drugs that will expand the spectrum and potency of existing antibiotics, including formerly inactive antibiotics, against Gram-negative bacteria. The product candidates are two IV-administered agents, SPR741 and SPR206, designed to treat MDR Gram-negative infections in the hospital setting. Spero is also developing SPR720, its novel oral therapy product candidate designed for the treatment of pulmonary non-tuberculous mycobacterial (NTM) infections. SCYNEXIS, Inc. is a biotechnology company committed to positively impacting the lives of patients suffering from difficult-to-treat and often life-threatening infections by delivering innovative anti-infective therapies. The SCYNEXIS team has extensive experience in the life sciences industry discovering and developing more than 30 innovative medicines over of therapeutic areas. The company's lead product candidate, SCY-078, is the first representative of a novel intravenous and oral triterpenoid antifungal family. SCY-078 is in Phase 2 clinical development for the treatment of several fungal infections, including serious and life-threatening invasive fungal infections caused by Candida and Aspergillus species. The FDA granted Fast Track, Qualified Infectious Disease Product and Orphan Drug Designations for the formulations of SCY-078 for the indications of invasive candidiasis (including candidemia) and invasive aspergillosis. Paratek Pharmaceuticals, Inc. is a biopharmaceutical company focused on the development and commercialization of innovative therapies based upon its expertise in novel tetracycline chemistry. Paratek's lead product candidate, omadacycline, is a new, once-daily oral and intravenous broad-spectrum antibiotic being developed for the treatment of serious community-acquired bacterial infections, including community-acquired bacterial pneumonia (CABP), acute bacterial skin and skin structure infections (ABSSSI), and urinary tract infections.. Omadacycline has been granted Qualified Infectious Disease Product designation and Fast Track status by the U.S. Food and Drug Administration (FDA) for the target indications of ABSSSI, CABP, uUTI and cUTI. Paratek has completed Phase 3 development activities for omadacycline in CABP and ABSSSI and has completed its New Drug Applications to the U.S. FDA and is preparing a marketing authorization in the European Union. Paratek has licensed rights for omadacycline to Zai Lab for the greater China region and retains all remaining global rights. Under a research agreement with the U.S. Department of Defense, omadacycline also is being studied against pathogenic agents causing infectious diseases of public health and biodefense importance, including plague and anthrax. Paratek's second Phase 3 product candidate, Seysara™ (sarecycline), is being developed by Allergan in the U.S. as a new once-daily oral therapy for the treatment of acne. Allergan has completed Phase 3 development activities for Seysara and its new drug application was accepted for review by the U.S. FDA in December 2017. Paratek retains all ex-U.S. rights to sarecycline. Recognizing the serious threat of bacterial infections, Paratek is dedicated to providing solutions that enable positive outcomes and lead to better patient stories. Nabriva is a clinical-stage biopharmaceutical company engaged in the research and development of new medicines to treat serious bacterial infections, with a focus on the pleuromutilin class of antibiotics. Nabriva's medicinal chemistry expertise has enabled targeted discovery of novel pleuromutilins, including both intravenous and oral formulations of its lead product candidate. Nabriva's lead product candidate, lefamulin, is a novel semi-synthetic pleuromutilin antibiotic with the potential to be the first-in-class available for systemic administration in humans. The comany believes that lefamulin is the first antibiotic with a novel mechanism of action to have reached late-stage clinical development in more than a decade. Nabriva has announced positive topline data for lefamulin from the first of its two global, registrational Phase 3 clinical trials evaluating lefamulin in patients with moderate to severe community-acquired bacterial pneumonia (CABP).. Nabriva believes that lefamulin is well positioned for use as a first-line empiric monotherapy for the treatment of moderate to severe CABP due to its novel mechanism of action, targeted spectrum of activity, resistance profile, achievement of substantial drug concentration in lung tissue and fluid, oral and IV formulations and a favorable tolerability profile, with the results of the LEAP 1 trial showing a rate of treatment-emergent adverse events comparable to moxifloxacin with or without linezolid. Nabriva Therapeutics intends to further pursue development of lefamulin for additional indications and is developing a formulation of lefamulin appropriate for pediatric use. Through research and development efforts, Nabriva has also identified a topical pleuromutilin product candidate, BC-7013, for which the Company completed a Phase 1 clinical trial. Nabriva believes that this pleuromutilin compound is well suited for the topical treatment of a variety of Gram-positive infections, including uncomplicated skin and skin structure infections. Manos Perros, Ph.D., has served as Chief Executive Officer, co-founder and Director of Entasis Therapeutics since May 2015. Prior to this, Dr. Perros worked for AstraZeneca AB as Vice President and head of its infection research and early development organization from 2010 to 2015 and as site head for its research center in Waltham, Massachusetts from 2012 to 2015. Prior to joining AstraZeneca, Dr. Perros served as Director of the Novartis Institute for Tropical Diseases in Singapore, and prior to that, as Vice-President and Chief Scientific Officer, Antivirals, at Pfizer, Inc. A chemist by training, Dr. Perros conducted his Ph.D. work in Belgium, France and Germany, and was an Associate in the Biophysics department at Yale from 1993 to 1995. Dr. Perros received the PhRMA Discoverer’s Award in 2010. David Roblin has served as Summit’s Chief Operating Officer, Chief Medical Officer and President of Research and Development since May 2017. Dr. Roblin acted as a research and development adviser to Summit from 2014. Dr. Roblin has served as the Chief Operating Officer and Director of Scientific Translation at the Francis Crick Institute in London from 2014 to 2017. Prior to that, Dr. Roblin was Head of Research, Site Director and Chief Medical Officer for Europe R&D at Pfizer Inc. from 2008 to 2011 and was Head of Therapy Area for Anti-infectives at Bayer AG from 1997 to 1999. After Dr. Roblin left Pfizer Inc. in 2011, he held a variety of board and advisory positions as well as Chief Medical Officer to biotechnology companies including Creabilis SA until 2014. Dr Roblin has a degree in biochemistry from University College London and later qualified in medicine from St George’s Hospital. He is a Fellow of the Royal College of Physicians, a Fellow of the Faculty of Pharmaceutical Medicine and a Fellow of the Academy of Medical Sciences. He is an honorary Professor of Medicine at Swansea University and Professor of Translational Medicine at St George’s. He remains as Chair of the Crick Translation Advisory Group and also serves on the BioMedical Catalyst Board Major Awards Committee, the Wellcome’s Science Innovation Translation Advisory Group and the scientific advisory groups for the LEO Foundation and Destiny Pharma PLC. He is also a member of the board of directors of Sosei. Before entering the life sciences industry, Dr Roblin practiced medicine for five years. Steve Conafay has 35 years of leadership and management experience in government relations, public policy and communications. As the sole principal at The Conafay Group, he oversees all client servicing. While leader of the bio-life science practice at Fabiani & Company, he oversaw more than $810 million in non-dilutive financing awarded to the team’s clients. For 12 years, Mr. Conafay was vice president of government relations for Pfizer, where he was elected as a corporate officer in 1984. He served as senior vice president of corporate affairs for Glaxo Inc., where he was also a member of the Board of Directors. After heading the legislative practice for Jones, Day, Reavis and Pogue, the world’s second largest law firm, he was tapped by the Pharmaceutical Research and Manufacturers of America (PhRMA) to assume the No. 2 position of executive vice president of strategic and legislative affairs. 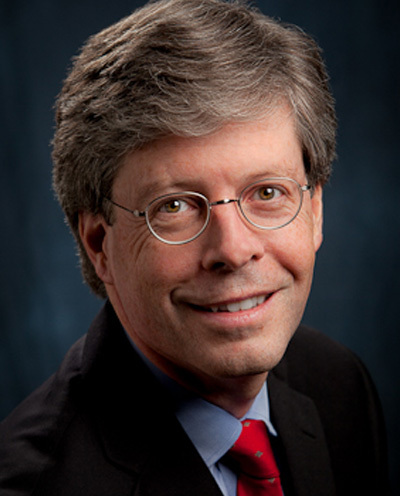 He also served as an executive fellow at the American Enterprise Institute, the leading free market think tank in the U.S. After moving to the New York area, Mr. Conafay joined Shandwick, where he assumed several positions of increasing responsibility, culminating with his appointment as chief executive officer for The Americas-East in 2000. Mr. Conafay is a lawyer and a decorated Vietnam veteran. He served as an infantry platoon leader and was awarded the Silver Star, Bronze Star with Oak Leaf Cluster, the Air Medal and the Army Commendation Medal, among others. He is also an avid golfer and has been a member of Congressional Country Club for more than 30 years. Mr. Conafay is a lifelong fan of the New York and San Francisco Giants. In his 60s, he ran and completed four Army 10-miler races, and plans to continue competing in his 70s. Dr. Burns has more than 25 years of corporate and research and development experience within both major and specialty pharmaceutical companies. At VenatoRx Pharmaceuticals, Dr. Burns has developed a comprehensive USG/NGO financing strategy that has enabled the Company to build out a world-class antibacterials portfolio. Prior to VenatoRx, Dr. Burns served as a member of the Executive Management Team and as Vice President of Research at Protez Pharmaceuticals through its acquisition by Novartis in 2008. Prior to Protez/Novartis, Dr. Burns served as Director of Chemistry at ViroPharma, producing clinical candidates for Hepatitis C (HCV-796) and smallpox infections (Tecovirimat, licensed to and developed by Siga Technologies). Prior to this, Dr. Burns served as a core member of the Global Lead Optimization Counsel at Rhone-Poulenc Rorer/Aventis. During his 12 years at RPR/Aventis, Dr. Burns led multidisciplinary teams in bone metabolism, cardiovascular disease (in the U.S.), and oncology (in France). Dr. Burns has appeared as co-author or co-inventor on more than 60 patents and publications and has served as Principal Investigator on more than 10 awarded U.S. National Institute of Health (NIH) grants. He received his Ph.D. in Organic Chemistry from the Massachusetts Institute of Technology (MIT) under Nobel-laureate Professor K. Barry Sharpless. 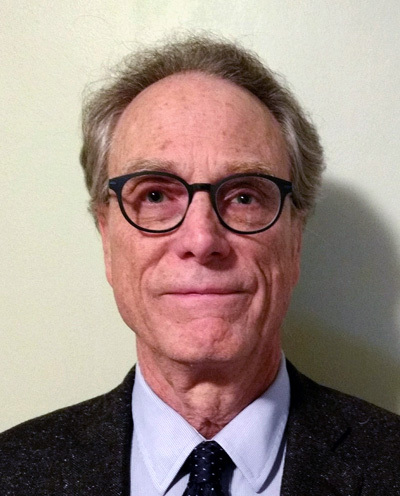 He currently serves on the Board of Directors at Life Sciences Pennsylvania (LSPA) and the Antimicrobials Working Group (AWG). .
Dr. Dudley has over 30 years of experience in antiinfective drug research, development, and commercialization. In 2018, he co-founded Qpex Biopharma which raised $33M in Series A financing and acquired the preclinical infectious disease programs from The Medicines Company. He has overseen the development and regulatory approval of 3 antibiotics, most recently a beta-lactamase inhibitor combination product from a new chemical class (vaborbactam) discovered in the company laboratories. The antibiotic product Vabomere™ advanced from discovery to FDA approval in 2017 in less than 8 years. He lead the negotiation for multiple contracts from public-private partnerships (e.g., BARDA of the US Government; Innovative Medicines Initiative for the EU) for a combined total of over $190 million funding to advance antimicrobial agents in development in the US and Europe. Prior to co-founding Qpex, he was Chief Scientific Officer and co-founder of Rempex Pharmaceuticals that was acquired by the Medicines Company (MDCO) in 2013, where he remained as the co-leader of the Infectious Disease Business Unit of MDCO. Prior to Rempex, he held VP/SVP/CSO positions of increasing responsibility at the biotech companies Mpex Pharmaceuticals (acquired by Aptalis in 2011), Diversa Corporation, and Microcide Pharmaceuticals. Prior to his career in pharmaceutical industry, he held full-time academic appointments that included Professor of Pharmacy and Chairman of the Department of Pharmacy Practice at the University of Rhode Island College of Pharmacy (URI), and Adjunct Professor of Medicine, Brown University School of Medicine at Roger Williams Medical Center in Providence, RI. As an academic researcher, he conducted preclinical and clinical research in antibacterial, antifungal, and antiviral agents, including pioneering work on PK-PD approaches for several classes of antiinfectives. Dr. Dudley has published over 130 scientific papers and book chapters describing the evaluation and clinical use of antiinfective agents and treatment of infectious diseases. He has served as an invited speaker at several FDA and EMA workshops, international meetings on infectious diseases, and advisor to several companies. He has served as an Editor for the journal Antimicrobial Agents and Chemotherapy and numerous other editorial and advisory boards. He completed undergraduate work at Pepperdine University and his Doctor of Pharmacy (PharmD) from the University of California San Francisco (UCSF), completed at residency at UCSF, and a fellowship in infectious diseases at Hartford Hospital.